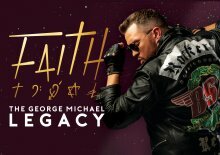 Faith – The George Michael Legacy returns with a brand-new production for 2018/2019. A stunning celebration remembering one of the greatest singer, songwriters of all time. This energetic, vibrant musical journey brings to life 35 years of hits from George’s glittering career.